Fluidampr performance harmonic balancers and dampers contain no rubber or elastomers. Instead, they are filled with a viscous silicone-based liquid that doesn't wear out after time. The liquid absorbs virtually all torsional harmonic vibrations at almo st any frequency and constantly adjusts itself for optimum performance at all RPM ranges. Fluidampr products are made from CNC-machined and balanced steel with a black zinc chromate finish. All dampers are SFI 18.1 certified and are designed tol ast a lifetime without being rebuilt. 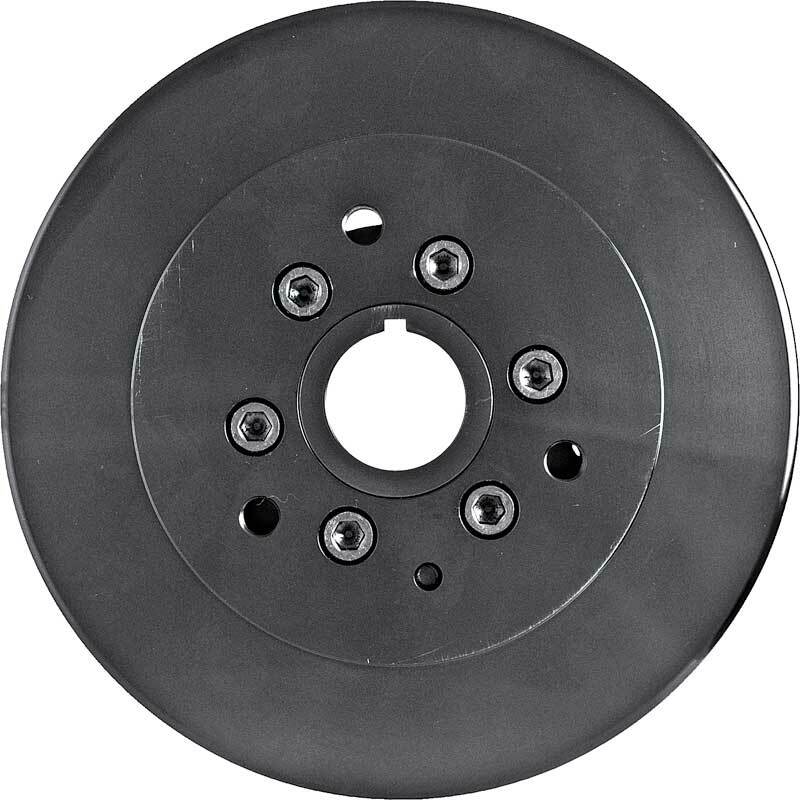 7-1/4" outer diameter / 14.0 lbs. Note: Not for use with 1992 and later LT1 engines.